The Barbados public bus system is intimidating, confusing, and then—suddenly— awesome! 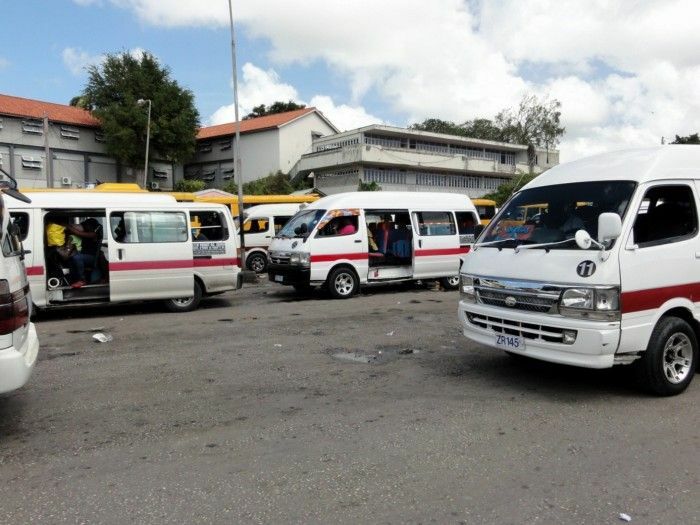 The Barbados “buses” you see are truly just mini-vans – they look like this, to be exact. You can tell it’s a legit public transportation “ZR bus” if it’s all white with a maroon horizontal stripe; any other color scheme and it may be a taxi or otherwise. But… they don’t feel so “legit” when the designated passenger of the ZR bus is hanging out the open sliding door of the moving vehicle, yelling destination names (“Oistins! Oistins!”) and enthusiastically trying to persuade you to c’mon, just hop on! Our first night in Barbados, Shaun and I were out on foot and planning on traveling a mile or two down the coast to the famous Oistins Friday Night Fish Fry, and a mostly empty ZR bus passed by excitedly trying to convince us to hop on. We politely and repeatedly, said “No, no thanks, no thank you” even though they were headed our direction… We said to ourselves, “Wow, they must think we’re the dumbest tourists if they think we’re really just gonna hop in their car!” Of course we knew better than that. A few minutes later, we see more and more ZR buses passing by with more and more passengers — but it clearly looked like strictly locals aboard. One bus looked so full that the passengers were basically sitting on each other’s laps, yet they still slowed down to persuade us to hop in. Our thoughts started to shift- perhaps this isn’t a kidnapping attempt(? )- but it must be like a locals-only thing, right? Next thing you know, a ZR bus passes by and we see Shaun’s friend Tad and his mother (they’ve never been to Barbados before and they’re both from San Diego nonetheless) aboard a ZR bus, happily waving at us as they pass by. Wait, what?? So, we begin to walk towards the next kinda-empty ZR bus that slows down with curiosity — but they can tell we’re timid and definitely confused. How much are we supposed to pay? Where are we supposed to get off? Is this for real? But, the “hype man” (the guy hanging out the sliding door with the sole responsibility of convincing and squishing as many people inside as possible, fiercely competitive with other ZRs to attract the most riders) exclaims at us, C’MON JUST GET IN, WE’RE GOING TO OISTINS! So, we got in! Inside the ZR bus is overwhelming… the music is so loud you can feel your brain rattle. The interior is decoratively painted with bright neon colors. The driver is so aggressive it makes you carsick, yet awestruck each time he deliberately swerves into oncoming traffic to pass another car. Every time the hype man begins to persuade another passenger to hop in, you think to yourself, “how can we possibly fit another human into this three-row mini-van! ?” Yet, somehow we do! Welcome aboard! …but riding a ZR is also awesome once you get your bearings. It only costs $2BB (= $1 USD) one-way, anywhere in the region. There’s only one main road along the south coast of Barbados between the city of Bridgetown and southern tip of Silver Rock, and you’ll see dozens of ZR buses every few minutes going each direction. You just flag ’em down and hop right in. $1 and away you go, as far as you need. It’s so cheap and actually impressively efficient to get from point A to point B. There’s no actual timetables for the routes, but they’re so frequent that there’s hardly ever any wait time. (I think) you’re technically supposed to only get picked up / dropped off at the designated bus stops, but these drivers were so amped to get another rider that they’ll flag you down anywhere for the most part. We consistently used the ZR bus system everywhere we went for the rest of the trip. Even if we were only traveling a short, very walkable distance (half mile! ), sometimes we would still opt to take a bus because, hey, why not? The larger inter-region bus system is actually quite wonderful, too. We used this to travel to the east coast of Barbados to visit Bathsheba for a day trip. These are actually traditional looking buses you’d see in any US city — like this, to be exact. These, unlike ZR buses, have official timetables and routes, which take a bit more planning to execute a trip. However, the ‘official’ website for the bus system is not very helpful for trip planning but luckily we stumbled across the website BeepBus which has an excellent interactive bus-planner tool. 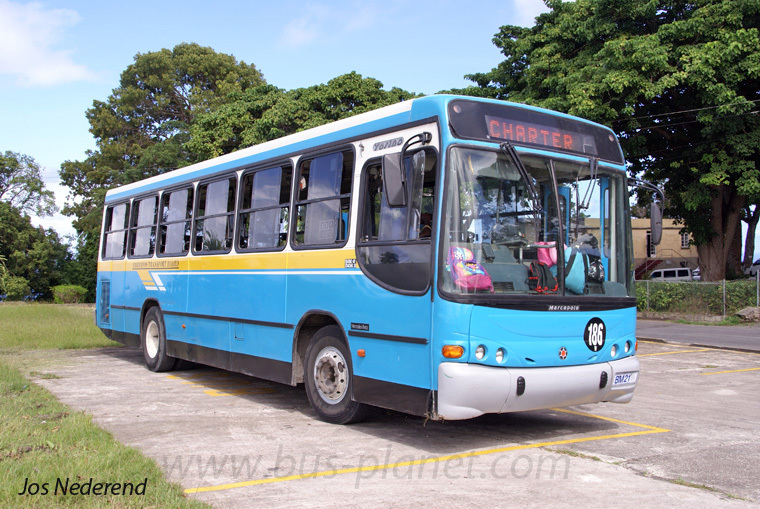 If anyone reading this is planning a trip to Barbados, I hope I’ve helped convince you that these ZR buses are truly awesome and there’s no need for the hesitation that Shaun and I felt. The Bajan locals are super helpful, kind, and welcoming people. We hope to return to the beautiful island soon! I jᥙst want to ѕhare that I like youг blog. o OVERTIME OVERSEAS <Loved it!